Indigo, no matter what I did this weekend I couldn't escape it. I swear it might be following me around! First, and probably most inspiring I took a look at a magazine called Hand/Eye on Saturday morning that focuses on the stories of national and international based artisans and designers. There most recent issue is on World Textiles and it is fascinating. If there is one thing, I have an absolute soft spot for it is textiles. One of the first articles I read was about a textile artist named Rowland Ricketts and his process of dying with indigo. He harvest, dries and composts the leaves by hand to make the traditional Japanese indigo dyestuff called sukumo.
" My own experiences with indigo - first as an apprentice in Japan followed by years of working with and learning from this historical dye - have made me aware of a connection that leads not just from my teachers to me, but one that reaches back to my teacher's teachers and the people they learned from, back into a past in which the processes I use were developed through the accumulated experiences of all who have ever worked with this unique dye." If you are at all interested in the small scale hand production of textiles you should take a look at this magazine (available both online and in print). It is packed with beautiful photography and comprehensive, detailed articles about designers and artisans working throughout the world. Later on that afternoon, I was busy upstairs in my "studio" (really, the guest bedroom which gets the best light in the house outfitted with a child's Ikea table, my camera and a tripod) taking some shots for our new Marion Melbourne website. Whenever I need inspiration, I usually call up Ditte Isager's website to see what she has been photographing lately. Of course, I found myself going through all of her back posts and came across this beautiful story called Indigo she did for Real Simple magazine. I love the collection of objects in the image on the left and the way all the textures and shapes work together. It's a great lesson in how to style objects. Finally on Sunday, I found myself at West Elm picking up a few last minute props for our photoshoot on Tuesday. 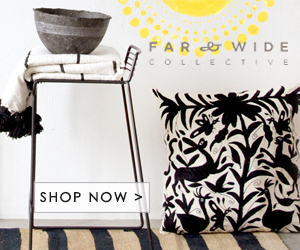 I couldn't help but notice that they have an entire product line of indigo inspired products at the moment from shower curtains to plates to pillows to arm chairs. They're calling this inky midnight hue the perfect foil to Fall's warm, dark woods and I think if you look at the Isager images above and the ones below you will agree. In fact, Isager actually shot a video for West Elm's summer campaign that you can watch here. Although, I really don't want to start thinking about Fall just yet. By the way, if you're intrigued about making your own indigo products check out this article on the Hand/Eye website about making your own indigo recipe. Something to try before the summer is over!